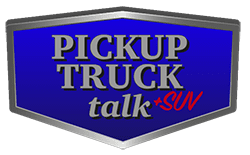 Ever since the Ford Raptor took the stage, it has been one of the most lusted after full-size trucks on the market with one caveat – it was too large for some trails and consumers tastes. 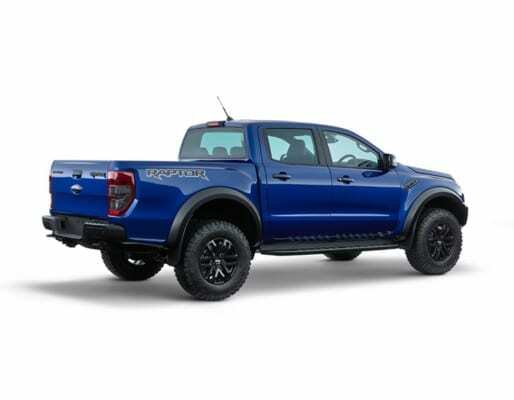 Enter the smaller Ford Ranger Raptor with all the full-size truck’s capability put into a smaller package. It is almost too perfect of a truck for … well… not for U.S. consumers as of yet. There is little doubt the fanfare around today’s launch of the Ford Ranger Raptor in Bangkok, Thailand is drawing customer interest. 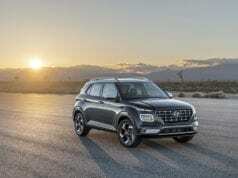 Especially with the truck’s diesel engine, radical styling and off-road equipment. 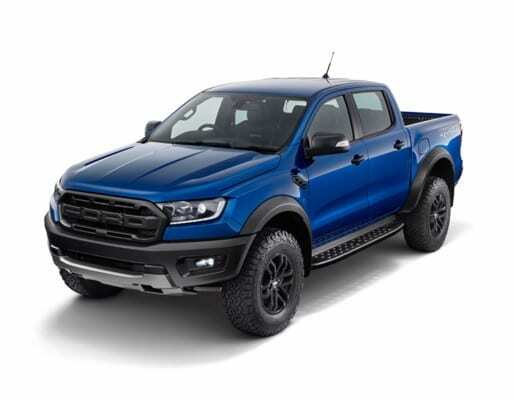 Ford has been mum on whether or not it will come to the U.S., yet with the new Chevrolet Colorado ZR2 turning heads and a new Toyota Tacoma TRD Pro on the horizon, Ford would be stupid not to bring this over. 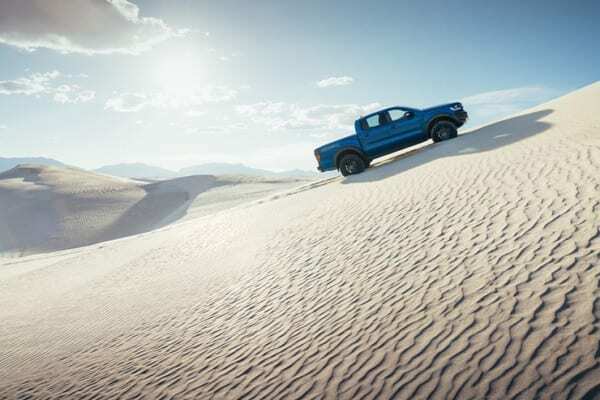 The first-ever Ranger Raptor, Ford’s new off-road, performance pick-up truck, blasted out from behind its camouflage during an reveal event in Thailand today. 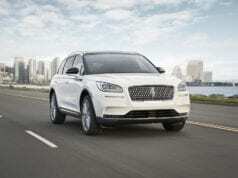 A frame mounted front-bumper system is designed to offer desert durability performance and a distinctive presence. 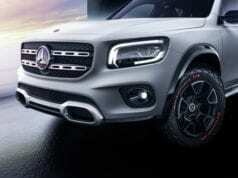 The front bumper also includes new LED fog lamps with functional air-curtain ducts, which help to reduce air resistance of the body. Using composite materials, the front fenders not only look tough, but resist dents and dings often associated with off-road usage. The flared shape of the fenders are required for the long travel suspension and oversized tires. 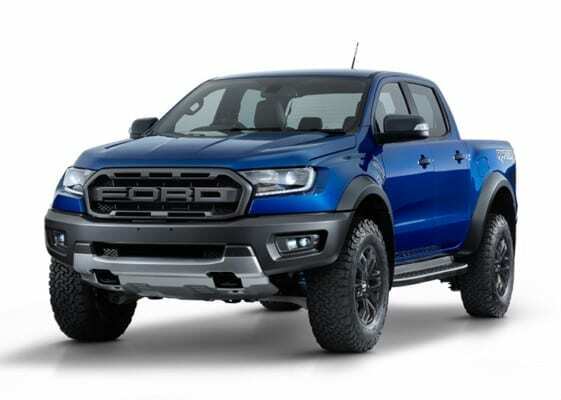 The exterior color palate offerings include Lightning Blue, Race Red, Shadow Black, Frozen White, as well as a unique Hero color for the Ranger Raptor, Conquer Grey. Contrasting Dyno Grey accents helps to accentuate the vehicle’s look even further. Starting from the ground up, the side steps are a cut above the rest. 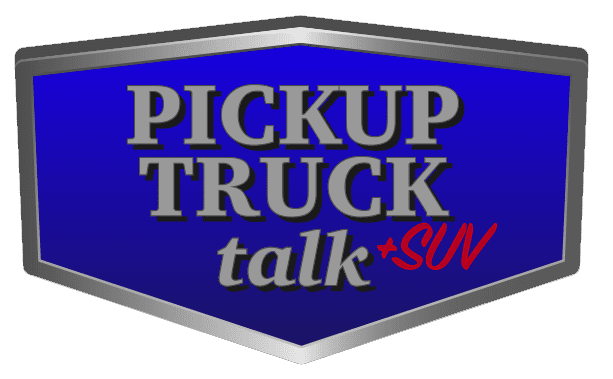 The step boards were designed specifically to prevent rock spray from hitting the rear of the truck and the holes have been designed to drain sand, mud and snow. The tough high-strength aluminium alloy die-cast main step board is designed for durability, undergoing testing which includes a load of 100kg being applied 84,000 times to simulate over 10 years in the field. A two-stage coating process involves the main step board firstly being powder-coated, before then having a robust grit-paint applied which results in a tough appearance that is also highly durable – scuff, scratch, stain-resistant with superior resistance to environmental weathering. At the rear, a modified rear bumper comes with an integrated tow bar and two recovery hooks rated at 3.8 tonnes. Updated styling to the rear includes flush sensor bezels and specially packaged and styled tow connectors. Providing an abundance of space, the 1560mm x 1743mm tray has been designed with the weekend explorer in mind, while the 2500kg towing capacity also accounts for dirt bikes or jet-skis, as well as traditional work needs during the week. 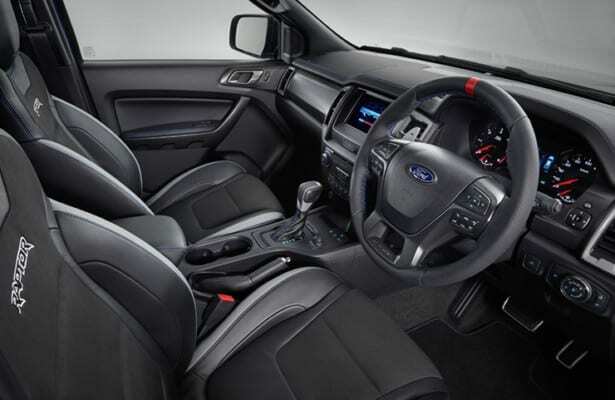 Ford Performance DNA has played a significant role in the purposeful styling, including the ‘On-centre’ marker – a red stripe at the top-middle of the wheel to let you know where the centre is when operating the vehicle at high speed. The steering wheel is finished off with the Raptor logo debossed into the spoke bezel. Raptor’s race-bred suspension has been specifically crafted to tackle undulating terrain at high-speed while remaining in complete control and comfort. The Position Sensitive Damping (PSD) shock absorbers (dampers) provide higher damping forces at full jounce and rebound to enable better off-road capabilities, and lower damping forces in the mid-travel zone for a class leading plush ride during on-road trips. These settings are truly calibrated for the best of both worlds. The dampers are exclusively manufactured by Fox Racing Shox with 46.6mm piston for front and rear. Designed for off-road endurance terrain, the dampers, coupled with the long travel suspension, allow for an unsurpassed damping performance off-road and a plushest of rides on-road thanks to Internal Bypass technology. 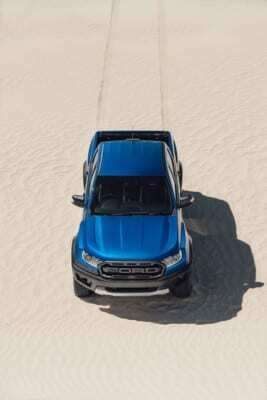 Ranger Raptor also comes with unique underbody protection to deflect off-road obstacles. The new bash plate is made from 2.3mm thick high-strength steel and meets enhanced capabilities for strength inline with Ford Performance requirements. The silver finished guard allows clearance to the dual front recovery hooks. Working together with the existing engine and transfer case undershields, the three elements provide protection to components such as the radiator, Electric Power Assisted Steering (EPAS), Front End Accessory Drive (FEAD), front cross-member, engine sump and front differential. This testing includes running a ‘thermo cycle’ on the engine, heating both turbos to the point of glowing red for 200 hundred hours non-stop. 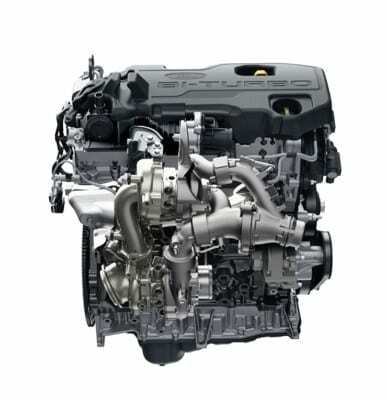 It can withstand this torture thanks to the turbo bearings and low-pressure (LP) turbo being water cooled to reduce temperature, avoid over-heating and protect the air induction components. The all-new electronic system features real-time adaptive shift-scheduling algorithms engineered to help ensure the right gear is selected at the right time. A unique transmission calibration also includes a ‘Live in Drive’ function, meaning that the paddle shifters are always available for manual gear selection override. Leading the way in connectivity, SYNCÒ 3 is a fully integrated, voice activation system that lets the driver use their favourite devices while their hands stay on the wheel and eyes on the road. 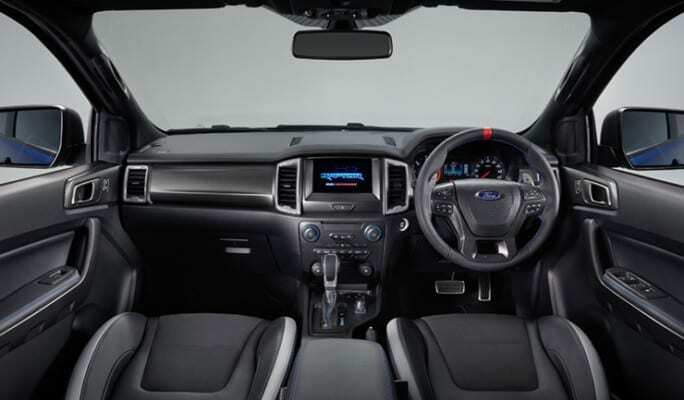 The Satellite Navigation System comes into its own when off-roading in remote areas, even offering a ‘breadcrumb’ feature to leave a trail when entering unchartered areas – perfect for the serious off-roader. 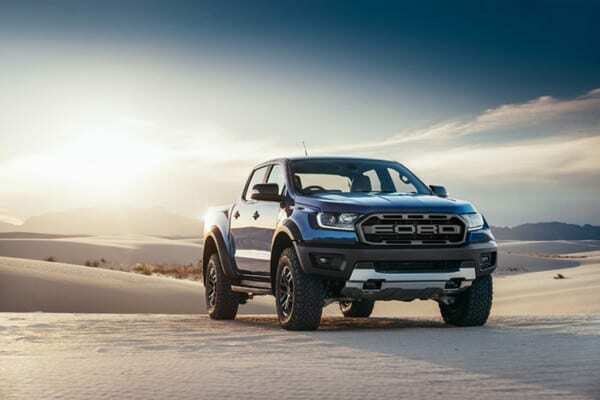 Inheriting vital capability from the truly successful Ranger and complementing that with DNA from the F-150 Raptor, the Ranger Raptor is set to turn heads throughout Asia Pacific and around the world. New 2020 Ram 2500 Power Wagon Spotted – Production Ready? 2017 Ford F-150 Raptor HP and Torque Numbers Officially Revealed – Whoa Buddy!